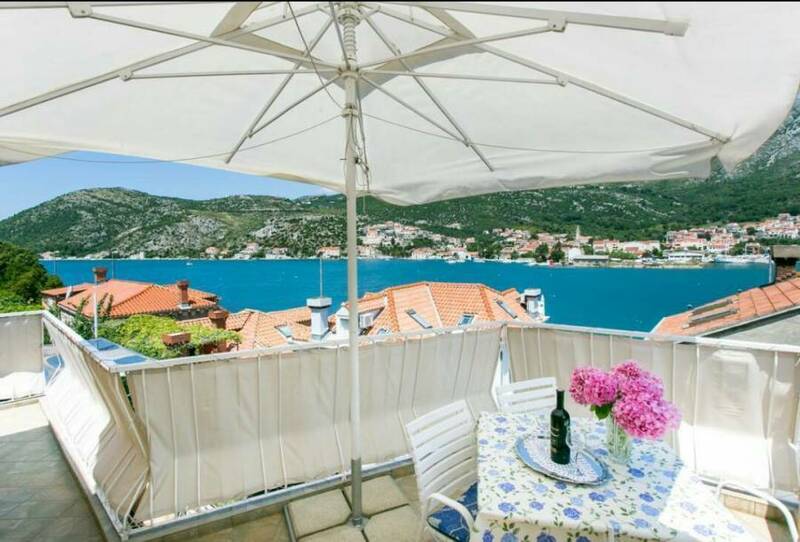 The apartment is in a peaceful surrounding with a beautiful sea view. 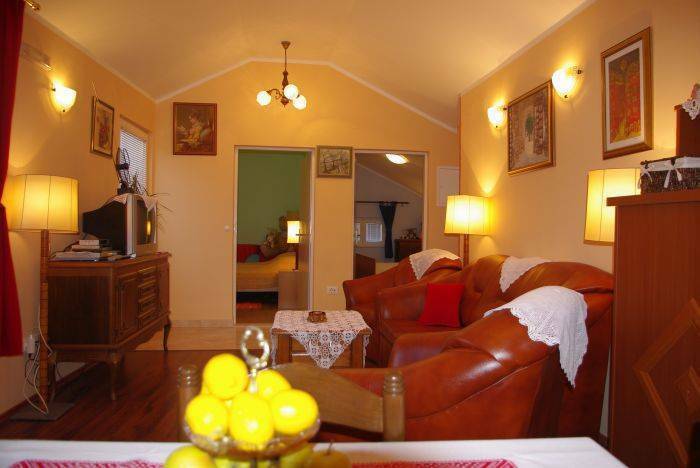 There are 2 bedrooms with a double bed, a living room, a kitchen, a bathroom and a tarrace with a sea view. 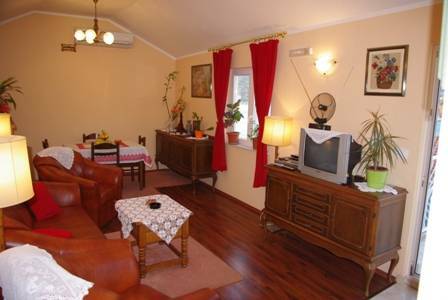 Near the apartment (20 m) there is a restaurant, a bus station and a free parking. The apartment is 3 km from the Old town and 1 km from the main bus station, the port and ACI marina. We also offer guests pick up, other transfers and boat trips and babysitting services. 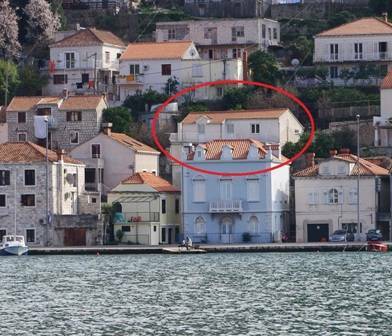 There are 2 bedrooms with double bed, a living room (SAT TV, DVD, air condition), a kitchen, a bathroom(washing machine) and a tarrace with a sea view. There are 2 bedrooms. In each bedroom there is a double bed and a wardrobe. 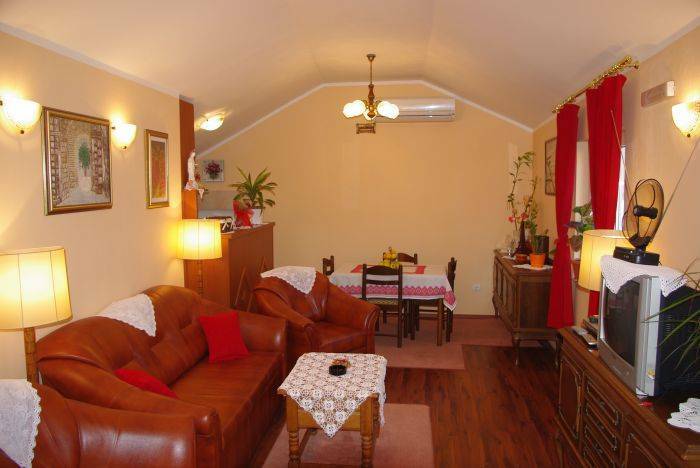 The apartment Darija is in a peaceful surrounding, but still close to the Old town. We offer a beautiful sea view and in a few minutes by car you can get to all important places to see. Reservations under 3 days, the price is 10 % higher. The guest pays 10 % of the whole amount when making a reservation. Cancellation policy - guest pays 50 % of the price if cancellation is made 5 days before reservation or less. 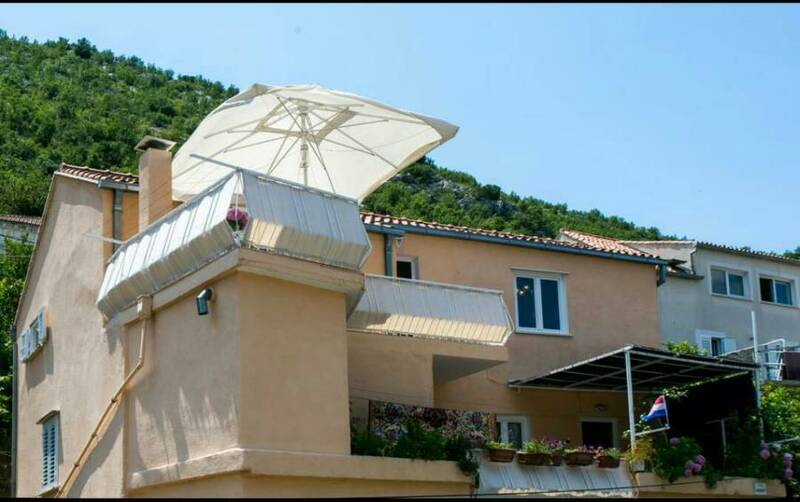 The apartment is in Sustjepan, close to ACI Marina on one side and the main bus station on other side, near Dubrovnik bridge. You can use our transport services, taxi or bus number 1A, 1B or 1C.